End-of-Summer Cinema Binge: Crazy 80s Beach Movies! Summer is over, or is it? Well, it certainly doesn't have to be! For the last few weeks I've been mostly landlocked, cooped up and unable to make it to the beach or anywhere else due to some bad luck and doctor's orders, but that hasn't stopped me from chasing my stupidest end-of-Summer seaside shenanigan-filled dreams by couch-surfing a good ol' beach movie marathon. And not just any old sandy surf movies, but specifically those bitchin' beach features from the golden age of VHS rentals and late night Cable TV programming—the 1980s! Listed below in no particular order are sixteen films that, for better or for worse, fit the bill; feel free to let me know if any crucial contenders have been omitted (I had to pull the plug before hitting the bottom of the barrel). As I mentioned in my previous Amusement Park movie binge post, a lot of these titles are likely to be found used in our stores, especially if you're seeking to own them on VHS or LaserDisc. Please check the links to our online store or give us a call to see if we've got what you're looking for and we'll do our darndest to make your crazy 80s beach movie/tangible format dreams come true the old fashioned way, dude. Amoeba Music has curated the vintage album exhibit “Salute to ’80s Vinyl We Love,” featuring cover art from across the decade. It will be on display at the Ninth Annual Leimert Park Village Book Fair on Saturday, Aug. 1, from 10:00 a.m. to 6:00 p.m. at Baldwin Hills Crenshaw. 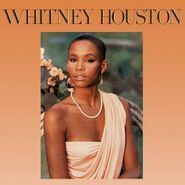 Featured albums includes Whitney Houston’s self-titled debut album (1985), Tina Turner’s Break Every Rule (1986), the Do the Right Thing soundtrack (1988), Jungle Brothers’ Straight Out the Jungle (1988), N.W.A.’s Straight Outta Compton (1988), Soul II Soul’s Club Classics Vol. One (1989), Janet Jackson’s Rhythm Nation (1989) and more. See all entries in our ‘80s list series.